An ancient technique of hair removal is threading. This is especially popular in Arab and Asian countries but also gaining substantial popularity in the Western world.Eyebrow threading is the most popular form of threading. We provide threading for eyebrow shaping, removing unwanted facial hair such as hair from upper and lower lips, chin, sideburns, space between eyebrows and for removing hair from any body part, especially where smaller amounts of hair need to be removed. Threading rarely causes harm to the skin and suits even people with sensitive skin. It is therefore, especially good for facial hair removal, where the skin is particularly sensitive. 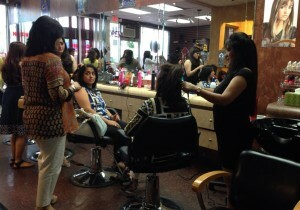 Your experience at Nikhar Beauty Salon begins in the hands of highly-trained professionals. 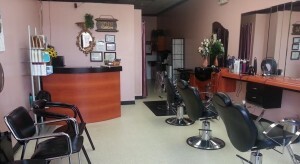 Our goal is to exceed your expectations with a world-class care and sophisticated hair styling and caring. We provide high class services that reflect current trends in fashion and design while care for each client's unique beauty and intelligence. We make your looks stunning for that special event with the latest creative styles. Our prices vary depending on the complexity of the style and length of hair. 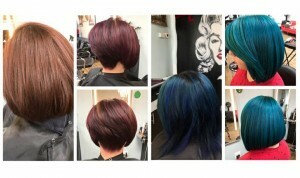 Hair color gives attention to complete your cut and style. We can transform glorious colors to create impact on your beautiful face with highlights, or add color dimension for a lasting impression. Nikhar Beauty Salon offers a perfect smooth hair removal procedure using waxing that will keep your skin silky soft and fresh for weeks. Whether you want to remove unwanted hair on any part of your body or just want to have beautifully shaped eyebrows. Waxing treatment slows hair growth gradually and results in silky, smooth, shinny and fresh skin for approximately three to six weeks. Waxing is performed by applying a thin layer of hot wax over the skin. 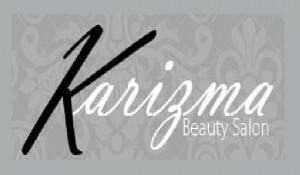 A waxing strip is then pressed on the top and pulled abruptly against the direction of hair growth. All the wax is removed along with the hair and the top layer of dead skin cells, leaving the skin smooth. Henna Tattoo, also known as “Mehndi” is an ancient Asian and Middle Eastern body art. It is normally used to create intricate ethnic or contemporary designs and exotic patterns on various body parts, though traditionally it was applied to the hands and feet of ladies preparing for special auspicious ceremonies. Henna tattoos are completely natural, non-permanent, painless and without any side-effects. While traditionally it had largely been the ornamental preserve of the ladies, even men are increasingly finding it a better alternative to permanent tattoos. Nikhar Beauty Salon has leading experts in Henna Tattoo with a unique creativity and years of experience. We provide Henna services for all special occasions like Weddings, Birthday Parties, Festivals, Corporate events, Crafts Day, Ceremonies or any special celebration to make the moment different and memorable. Facial is a cosmetic treatment of the face involving several procedures like cleansing, exfoliation, steaming, clean-up (extraction), massage, mask etc. In earlier times it was thought of as a luxury, but facials are now part of our healthy living. Facials provide great benefits to our health and well-being. Besides treating damaged facial skin, a facial will also involve some deep cleansing and grooming. It is common for facials to utilize a number of creams, lotions, natural remedies and extraction to refresh your facial skin. Additionally, a facial will consist of facial masks and peels that will not only make you feel relaxed as this treatment is being performed, but will also rejuvenate the look of your face. Nikhar Beauty Salon’s specialist, Rehana's approach for make-up for brides is one of corrective, subtle make-up that enhances the bride’s best features and makes her look naturally radiant and beautiful on her big day.